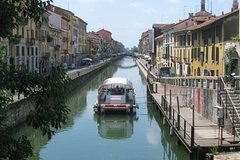 Discover the delights of Milan by bike on a morning, afternoon or evening tour! 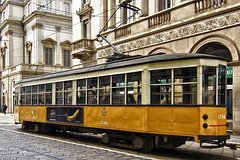 Following an expert guide, you’ll cycle at a gentle pace around the captivating city streets, seeing top Milan attractions as well as lesser-known treasures that tourist maps miss. 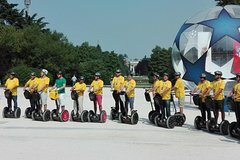 Explore fashionable and quirky neighborhoods like Manzoni and Ticinese, and see iconic Milan monuments such as Milan Duomo, Teatro La Scala, Castello Sforzesco (Sforza Castle) and more!Numbers are limited to ten on this small-group Milan bike tour, ensuring you’ll see the sights with personalized attention from your guide.Discover the delights of Milan by bike on a morning, afternoon or evening tour! 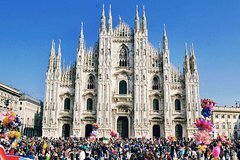 Following an expert guide, you’ll cycle at a gentle pace around the captivating city streets, seeing top Milan attractions as well as lesser-known treasures that tourist maps miss. 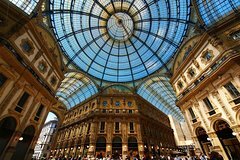 Explore fashionable and quirky neighborhoods like Manzoni and Ticinese, and see iconic Milan monuments such as Milan Duomo, Teatro La Scala, Castello Sforzesco (Sforza Castle) and more!Numbers are limited to ten on this small-group Milan bike tour, ensuring you’ll see the sights with personalized attention from your guide.Meet your guide and after a short safety briefing, set out to explore Milan! 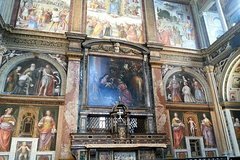 Stop for photos in front of glitzy monuments and hear Milanese history from your guide. 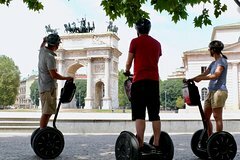 Simply choose from a morning, afternoon or evening tour.Morning or Afternoon Tour (3.5 hours):Pedal through the downtown streets, discovering Milan’s glamorous neighborhoods and their countless delights. 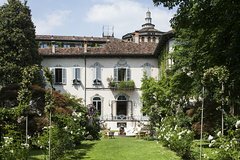 See the lavish gardens that border the streets of Palestro, and soak up the palazzo chic of the Manzoni district, where ornate buildings showcase the world’s premier fashion houses. 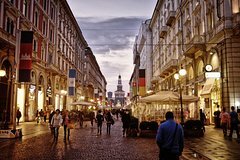 As you meander to Piazza della Scala, look out for Milan’s famous theater – Teatro La Scala. 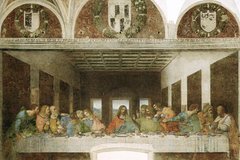 Explore the chic streets of Brera, with its narrow church-lined streets and upmarket houses, and then admire the exterior of Castello Sforzesco in all its Renaissance glory. 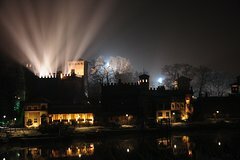 Hear how this impressive castle was built for the first duke of Milan in the 14th century and is now a popular museum complex.Other highlights include the Piazza Gae Aulenti, and Colonne di San Lorenzo – Milan’s oldest Roman ruins. 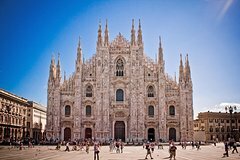 Before returning to Porto Venezia, head to the neighboring square to see Milan Duomo.Evening Tour (3 hours):However captivating Milan is by day, it’s somehow even more so by night, when the city’s monuments are bathed in a soft evening glow and the glamorous Milanese sit outside enjoying their aperitivos (pre-dinner drinks). 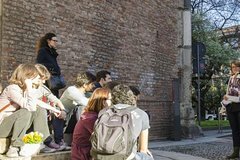 Soak up the ambiance on a route around the city center, taking in several sites seen in the morning and afternoon tours such as the Palestro neighborhood.Admire the fountains under Castello Sforzesco’ lit-up ramparts and Parco Sempione, the vast park just behind Castello Sforzesco. 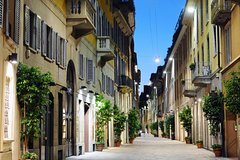 See Ponte delle Sirenetta – a pretty bridge with cast iron statues and then continue to Colonne di San Lorenzo.Pass further top city attractions like Milan Duomo, Piazza Mercanti and the famous Teatro La Scala, while hearing tales and trivia about the city. Finish back at Porta Venezia, and after returning your bike, your guide will point you in the right direction to get back to your hotel.